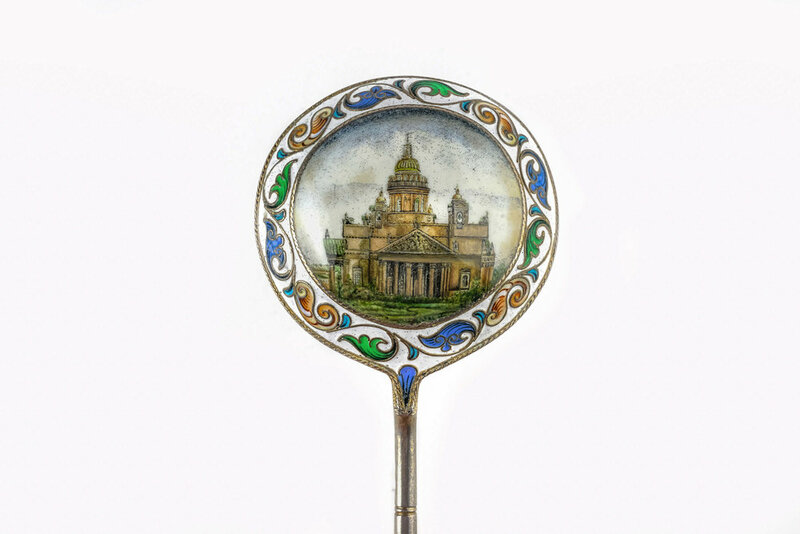 Antique Russian silver 84 cloisonne and en plein pictorial enamel spoon by Vasili Agafanov. 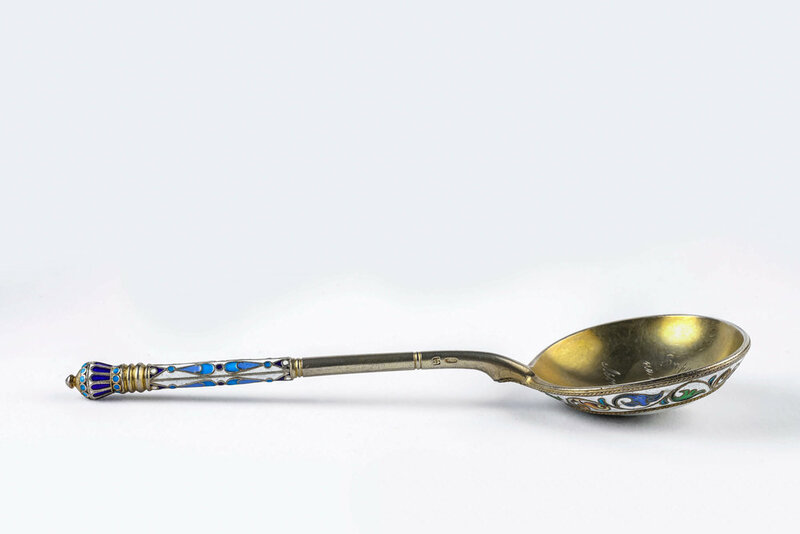 Antique Russian silver 84 cloisonne and en plein pictorial enamel spoon by Vasili Agafanov. Length is 7.2 inches. Weight is 87 grams.